We currently live in an 1892-square foot, 4-bedroom, 3-bathroom home in the suburbs. We’re incredibly blessed to be able to afford a home like this and the updates we’ve made based on my wife’s vision have made the space even better. So why have we spent so much of the last few years with half of our house empty or closed off? The best way to answer that is by going through our history with this house. We’re coming up on 10 years here and our view of this place has changed drastically over the years. We made our big home purchase back in 2007, putting down $43,980 (20%) on our $219,900 tri-level home. The layout included four bedrooms and three bathrooms neatly fit into the 1892 finished square feet. 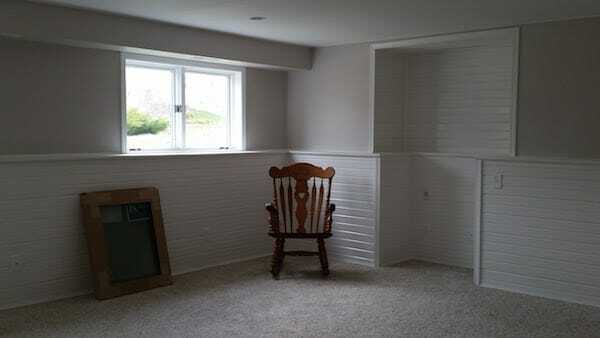 In the basement sat 640 square feet of unfinished space for laundry, utilities, and storage needs. After over a year of searching, we thought we had finally found a house that would meet our needs for not only the short-term but long-term as well. We had recently finished college in 2005 (myself) and 2007 (my wife), so we weren’t exactly in a state to move into a house and provide all the furnishings. We viewed it as our duty as new homeowners to “fill up the space”. 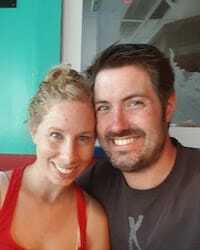 To make that easier, we kept our finances separate - I covered the mortgage and utilities while my wife was responsible for furnishing our house - turning it from an empty building into a true home. The years flew by and the list of stuff we owned grew longer and longer. It took a lot of money but we found a way to use just about every square inch of finished space. We had two living rooms, three TVs, two sets of couches, beds, desks, coffee tables, dressers, and so on. Once we had kids, we added cribs and changing tables to the mix and experimented with different layouts. We even had a time where we dedicated our entire lower level (626 square feet) as a play area. Our house was full of kids and love. But it was also filled with clutter and stress. We’d done what we were supposed to do. Buy a house in the suburbs, fill it with stuff, and raise a family. That’s the American dream, right? Oh yeah, we forgot one part - we needed to keeping our house up-to-date and stylish. Little did we know that remodeling our house to make it everything we wanted would ultimately make us realize that our house was way more than we needed. My wife has always had an amazing ability to walk into a space and see it for what it could be. 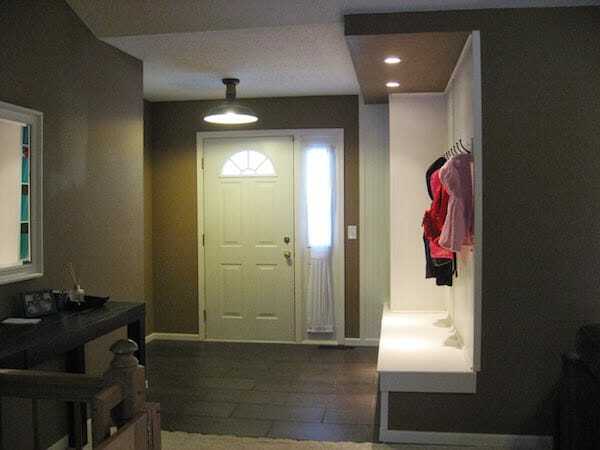 In 2013, we finally took on our first project - knocking out our entry closet and replacing it with a bench and hooks. After getting confirmation that nothing in the closet was providing structural support for our roof, we did the demolition. Because we started demo so early, it was about 6 months from the time we did the demolition to when the new bench was complete. Granted, we were only losing 16 square feet during this time, but we did this over the winter months when outdoor gear needs are at their highest. We made due with a coat rack and bins to hold the mittens, snow pants, and everything else we needed to survive Wisconsin weather. 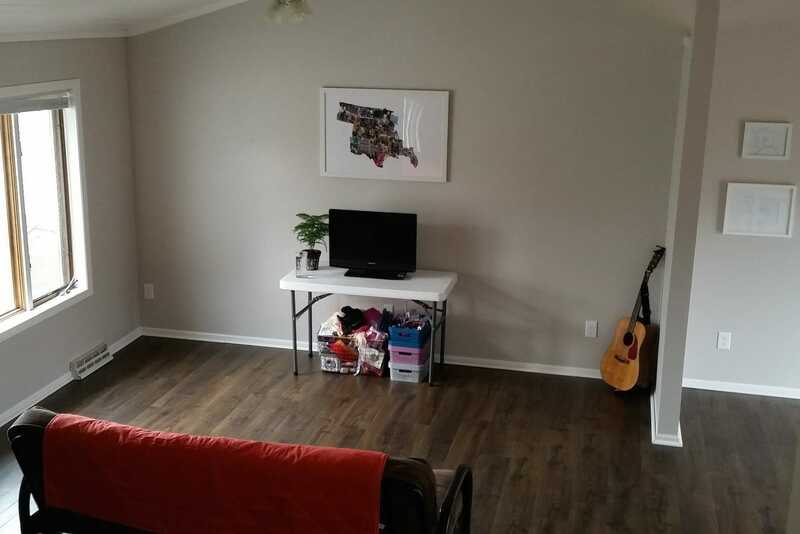 The result was amazing - our entry opened up better to the living room and we had this beautiful, functional space to handle all of our family’s stuff whether there was a blizzard outside or a sunny day. 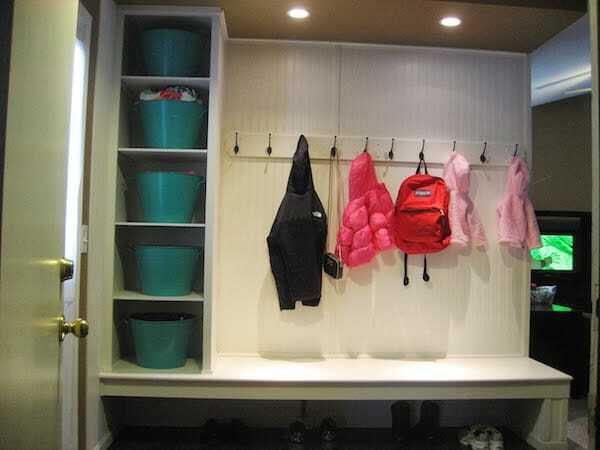 Knocking out this closet was like pulling on a loose thread of a sweatshirt. Because we’d painted the bench and our trim white in the entryway, we now needed to follow up doing the same in the rest of the house! As soon as we started painting a small bit of trim in our house white, we committed to doing the whole thing. My wife did some painting in our upstairs bathroom while I was on a work trip to China but our next ambitious project was painting our lower level. 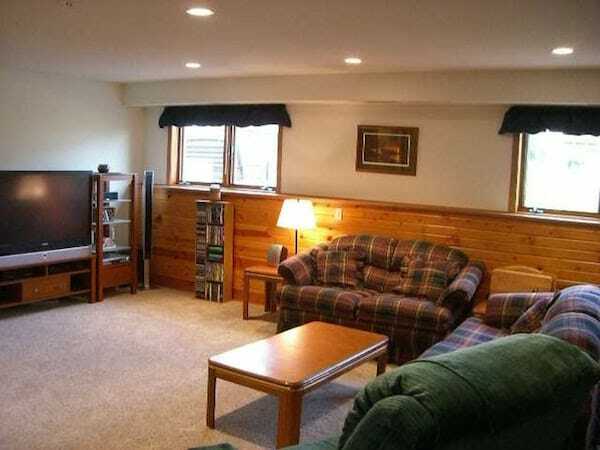 We weren’t fans of the wood paneling style and couldn’t ever really seem to find a good use for this space. Our plan was to paint the walls, the ceiling, and all of the wood paneling in this 630 square foot space and then figure out what to do with it. We couldn’t functionally use the space while this work went on though, so we moved all the kids’ toys out, sold the couches that had been in that space and marveled at the blank slate we had. It took us over a year to finish this project. Over that time, we recognized something unexpected and powerful: we didn’t miss the space. This was a third of our finished house and we didn’t even miss being able to use it. When we finished the majority of our lower-level updates, we had to ask ourselves a tough question. What were we going to do with a great room, an office and a full bathroom that we had no need for? We keep it empty. Occasionally our kids will run around down there using it like an indoor gym, but we don’t have any stuff we use in our lower level. No toys, no entertainment, no couches. Giving up on the “extras” probably seems pretty easy. But what about giving up on the things that we said were a must when we bought our house? Aside from the lower-level, another high-priority area to finish was our master bedroom and attached bath. After all, our bedroom was our sanctuary - the place where, after a long day, we could finally unwind. Once again, painting the walls, trim, and doors wasn’t going to happen with our furniture in the room so we moved everything out. Where to though? We wanted to be on the same floor as our kids but they were using the other two bedrooms in our upper level. We happened to be asking this question at a great time. Our twins were big enough to move into “big girl beds” and our oldest daughter was wondering why everyone else in the family other than her had a roommate. Our solution was to put all three girls in one of the kids’ bedrooms and we took over the other. When we originally toured the house I had wondered if these rooms would be big enough for one kid. Three? That seemed impossible. Amazingly, we found the right configuration to put in a day bed, a trundle, a toddler bed, and a rocking chair without things seeming too cramped. The kids were excited and we worked on moving our whole master bedroom set into the other bedroom. Fortunately, at this point, we had ditched all of our dressers and minimized our wardrobe. 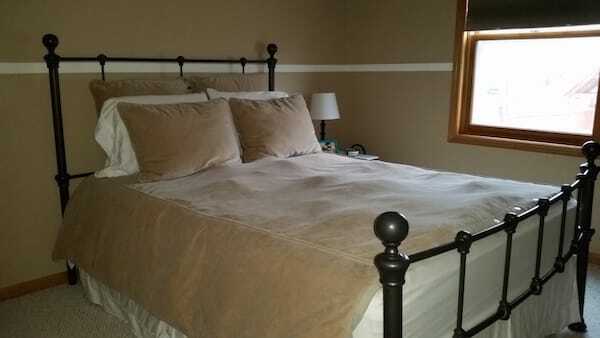 We got our queen-sized bed into the tiny space and started work on the master bedroom and bathroom. It took us about a month to finish this space. Out of our comfort zone once again, we were surprised to discover how much we really liked being in the smaller bedroom. When we got done with a long day, it didn’t feel like a cramped little space (as I had initially expected) - it felt like our cozy nook to rest in. After we finished with the master bedroom, we moved back in while we worked on painting the other bedrooms one at a time. Our kids have loved sharing a bedroom and still do to this day. Sure, there’s the occasional “I want my own room” threat but when we actually give them the option, they always turn it down. 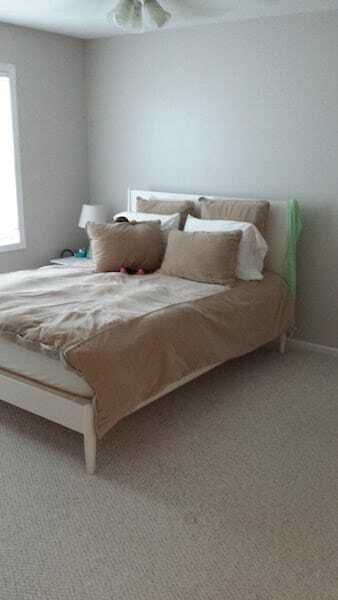 Once we were done with all three bedrooms we again faced a tough question - we knew we enjoyed living in the smaller bedroom, so what to do with the master? Just like last time, the answer was simple. We keep it empty (relatively). We have a queen bed set up in the master bedroom for when we have guests, but other than that, the room hardly ever gets used. At this point, we’re starting to push it, right? How much more space in our house could we possibly decide to forego? As we’d progressed through our house, one more big project had been developing - knocking down an interior wall on our main floor to completely open up the space. 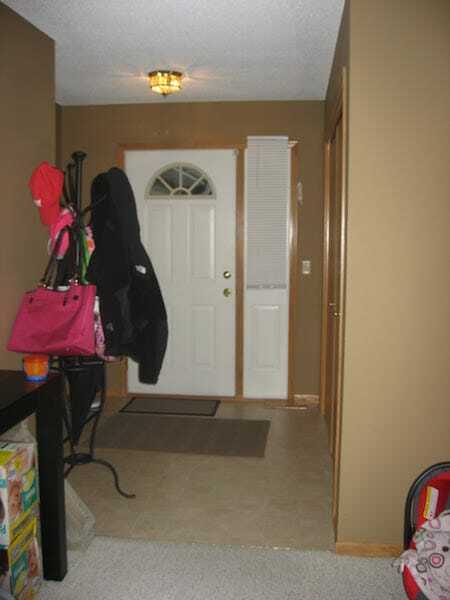 The complete plan also included taking out our kitchen peninsula and some cabinets, replacing the carpet and linoleum with laminate flooring, and putting nice white wood paneling over the popcorn ceiling. In essence, we were redoing everything on the first floor other than our entryway. My wife kicked things off and then I got my own personal version of #demoday. From here, we had months of ongoing projects to get everything on our list done. In the end, the result was awesome and we once again found something unexpected. So at this point, here’s how we’ve shown how far we can push things in our house. We have 2 bedrooms, 2 bathrooms, and 1066 square feet essentially sitting unused - more than half of our house. 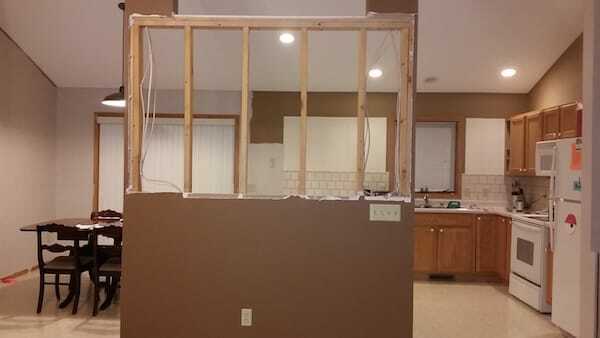 Our remodeling plans have continued, but the major work is done. Right now, we are using our two small bedrooms, our main bathroom, and our entire main floor. We occasionally have one of the kids sneak into the master bathroom if the other one is in use. We’ve got our “guest bed” in the master bedroom that gets used a couple times a year. If we didn’t have that room, we’d just sleep on the floor of our kids’ room when guests come over; I’m confident we could get by with a 2-bedroom. In the United States, the national average for “square feet per person” in new housing builds is 1054.7 square feet. Our family is having a blast in 203.2 square feet per person. Originally, we found ourselves using less of our house out of necessity. 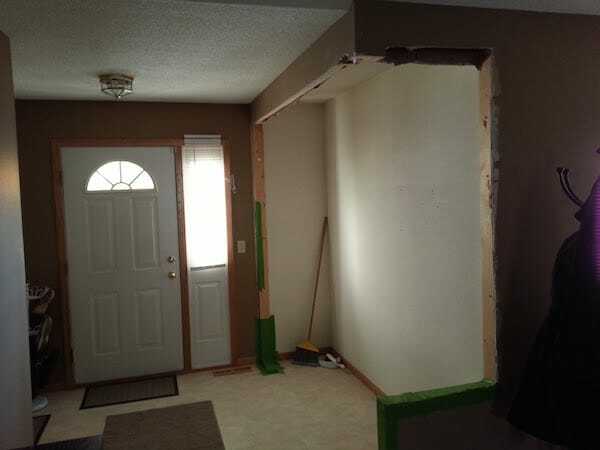 Our remodeling had forced us to block off portions of our home and learn to live without them. As time went on, we realized that we were perfectly happy without the extra space and chose not to fill it even once our remodeling was done. We know we don’t use this house to it’s fullest capacity - it is simply to big for our needs today. So, we’re in the process of finishing up our remodeling and will be putting this house on the market. We plan to rent for a year and figure out our next steps from there. Maybe we’ll find a great plot of land that we can buy and build a really nice small house for our family to live in. Maybe we’ll find an existing house that could use some TLC and go through the remodeling again but this time with the right square footage for our needs. Or maybe God will put something completely different in our path. When have you had to go without something only to find that you never really needed it in the first place? Do you really use all of your house?